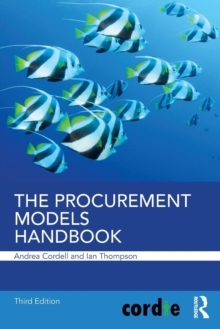 Building from the previous two successful editions, The Procurement Models Handbook is an essential resource for everyone working in the procurement profession, including those selling directly to it. The authors provide the reader with a useful guide to the business models most frequently applied in the procurement and supply chain arena. Procurement and supply chain management are two of the highest contributors to corporate success in the modern world. This third edition is a new revised international version with additional tools that reflect the value of procurement in our globally-connected world. The authors have included over 50 well-established strategic and operational models that have a proven track record of delivering value over years of practice. Each model is presented pictorially, with explanatory commentary on its practical application to support. These models are designed to save unnecessary cost and deliver significant benefits for their user and have been carefully selected by the authors based on their originality and usefulness for practical application in the context of procurement and the supply chain. The Procurement Models Handbook is an invaluable and enduring source of reference for practitioners and business managers, as well as an essential learning support for business and procurement students.